A key difficulty in verifying shared-memory concurrent programs is reasoning compositionally about each thread in isolation. Existing verification techniques for fine-grained concurrency typically require reasoning about either the entire shared state or disjoint parts of the shared state, impeding compositionality. 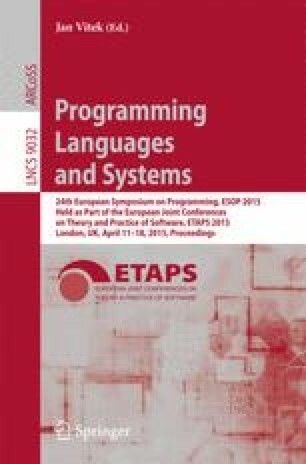 This paper introduces the program logic CoLoSL, where each thread is verified with respect to its subjective view of the global shared state. This subjective view describes only that part of the state accessed by the thread. Subjective views may arbitrarily overlap with each other, and expand and contract depending on the resource required by the thread. This flexibility gives rise to small specifications and, hence, more compositional reasoning for concurrent programs. We demonstrate our reasoning on a range of examples, including a concurrent computation of a spanning tree of a graph.